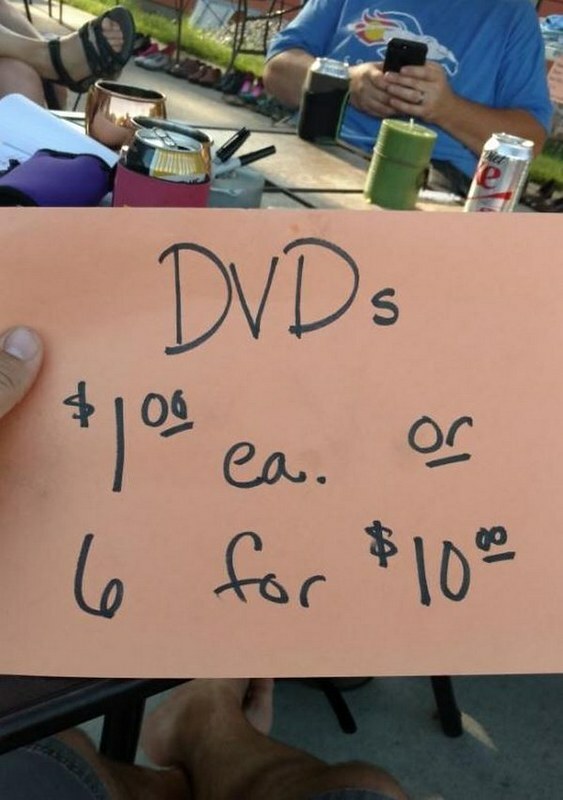 I really hope that this garage sale made a fortune. It’s Trump’s legal defense strategy. Someone had a sign out that said “GROJ SALE”. When a browser commented about the novel way of spelling “garage”, he was told, “it means Get Rid Of Junk”. My college science fiction club had a garage sale as a fundraiser, but out signs said, “Dragin Sale” with a picture of a dragon. When people asked about the dragon, our explanation was that we decided to drag a bunch of stuff in and sell it. A straight up appeal to the Trump voter. Counting on the math skills of Republicans. If Paul Ryan shows up, they’ll make a mint…..